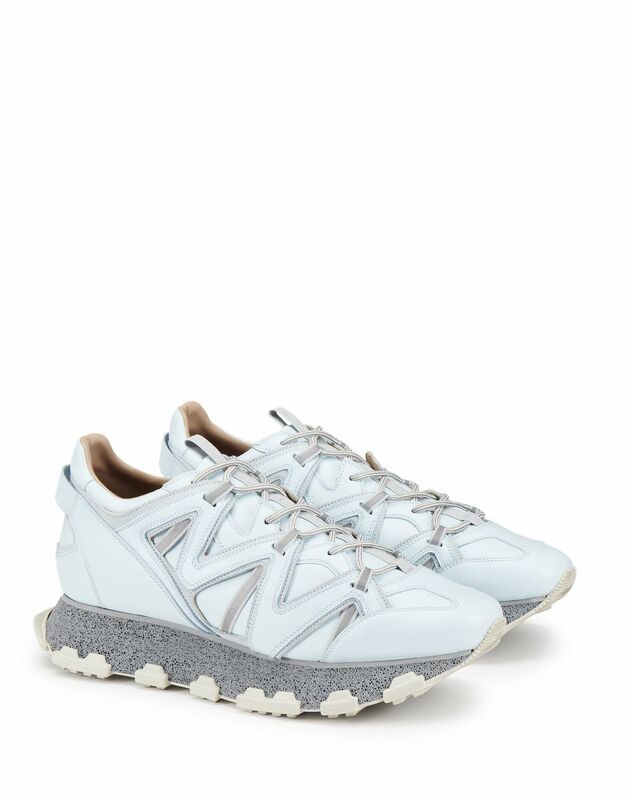 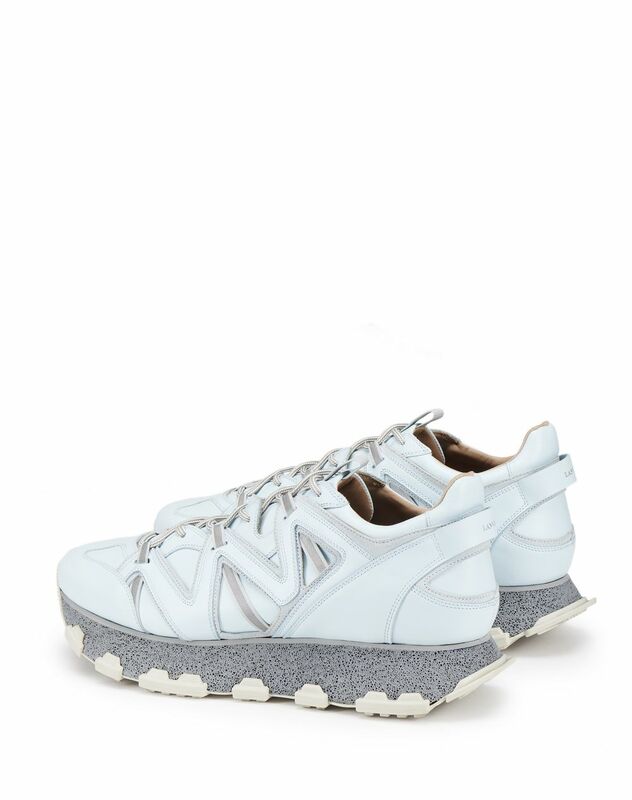 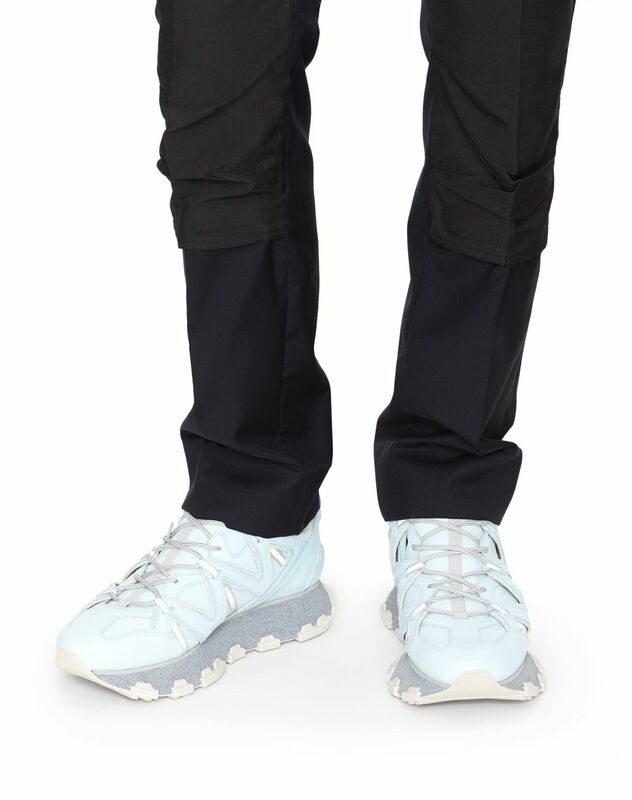 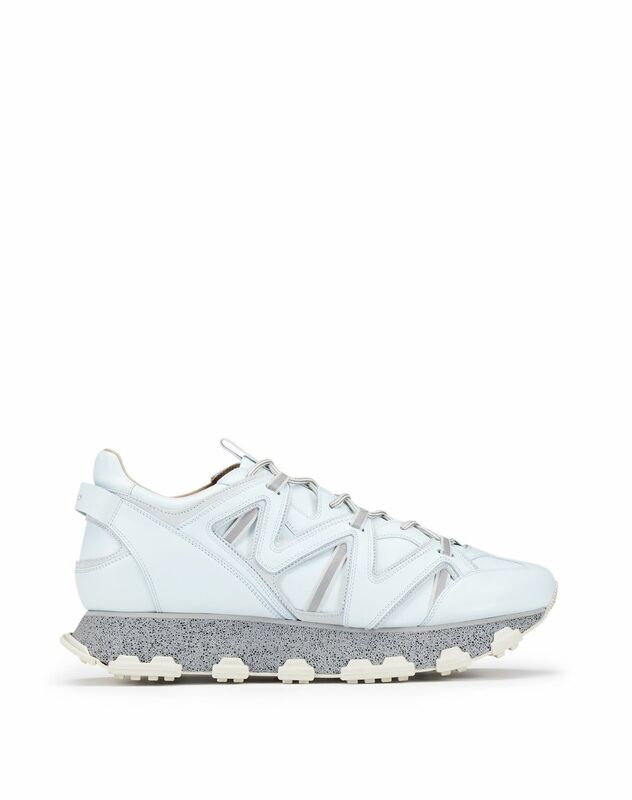 Light blue Lightning sneaker in nappa leather, tone-on-tone suede-effect calfskin leather insets with silver band detail, tone-on-tone topstitching, contrasting laces, beige 100% calfskin leather lining, and two-toned TPU sports sole. 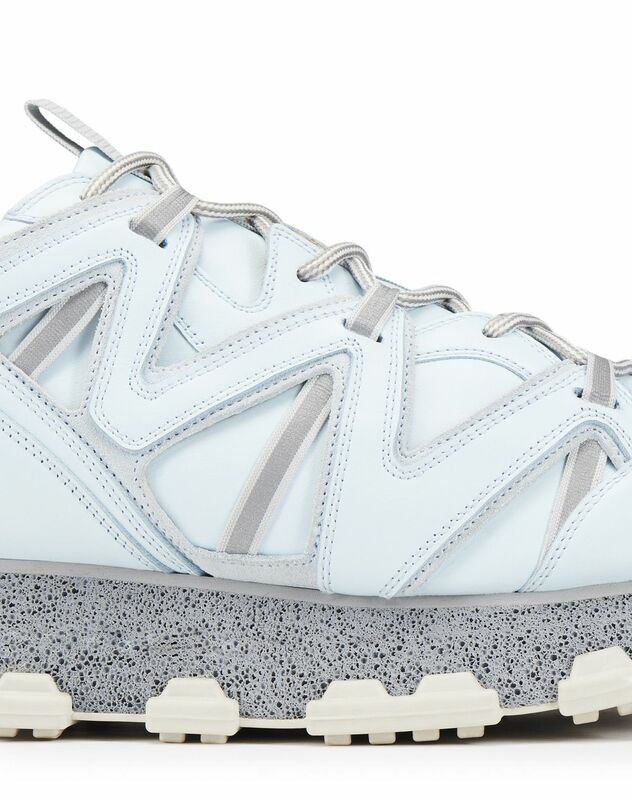 The nappa leather Lightning sneaker stands out for its colorful, graphic construction and its sporty allure: two key elements from the Spring-Summer 2019 Collection. 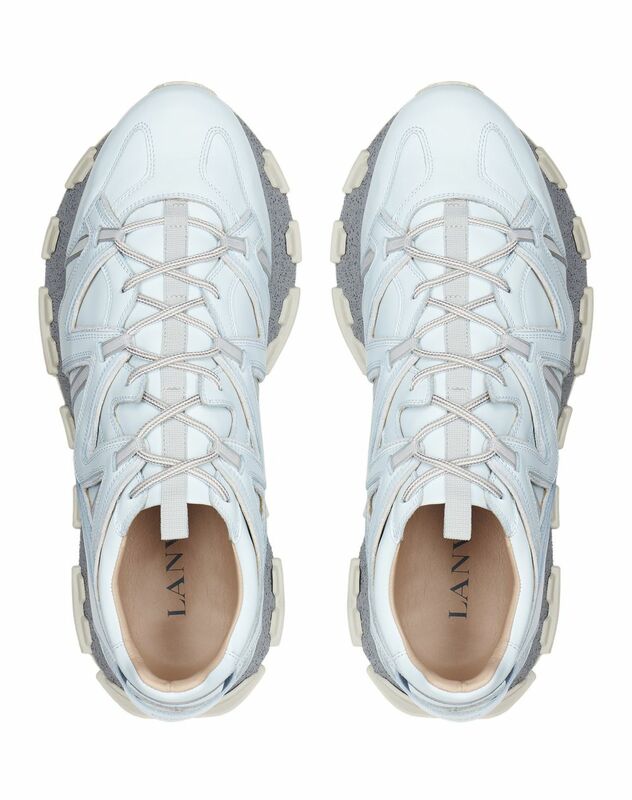 This trendy sneaker features asymmetrical insets, a contrasting sole, and all-new color combinations for sophisticated, urban flair.